Retired Dallas Cowboys safety Dextor Clinkscale gets a chance each year to re-experience the camaraderie of playing in the NFL when the Super Bowl Gospel Choir convenes to perform in the city hosting the league’s marquee game. The choir provides about 60 players — mostly retired and a couple of current ones — a different type of team atmosphere, one that combines a love of gospel music and pro . During rehearsal at the annual reunion, this time for Thursday night’s performance in the 20th Super Bowl Gospel Celebration at Atlanta Symphony Hall, Clinkscale said he felt his spirit being rekindled in the same way it does each year. Max Garcia, a Denver offensive lineman, and New Orleans receiver Austin Carr are the choir’s two active players and are expected to perform. Former stars such as Tim Brown, Emmitt Smith and Matt Forte and current stars Larry Fitzgerald and Russell Wilson are listed as presenters or honorees. Carr grew up singing in the church and got the itch to perform after visiting Broadway in high school. He started acting, playing piano and taking vocal training. He performed with the Super Bowl choir last year. The NFL-sanctioned choir will perform two songs at the sold-out event that’s being televised Saturday and also features performances by Kirk Franklin, Koryn Hawthorne, Tasha Cobbs Leonard and The Winans. “This career can be over in three years, sometimes less,” Johnson said. “Can you make a lot of money in three years? Of course you can. Can you be a millionaire in three years? Of course you can, but can you make that money and lose it all? Yes, you can. Longtime choir director Myron Butler, a gospel star who’s recorded five albums with Motown, said anyone with NFL experience is welcome. The group will perform “I’ll Make It,” with songwriter Hezekiah Walker, and “Jesus Can Work It Out,” written by Dr. Charles Hayes and the Cosmopolitan Church of Prayer. 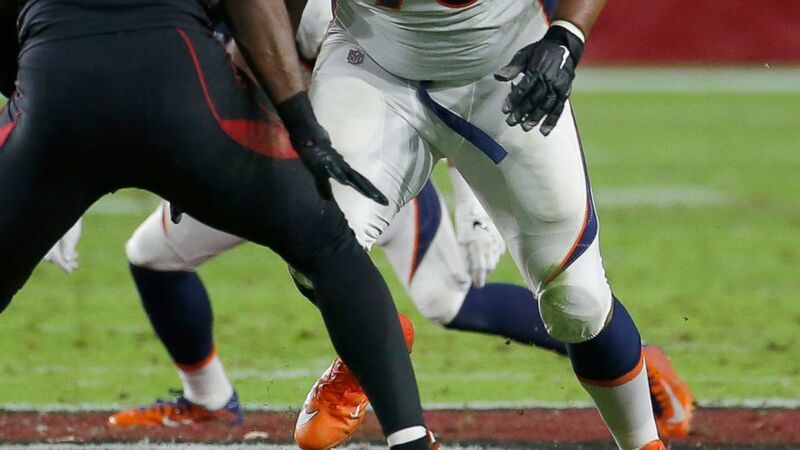 The Broncos’ Garcia found out about the choir from a teammate and was put in touch with Johnson. Trump Says He’ll Leave Decision of Whether to Release Special Counsel’s Report to Justice Dept.